Perfect for School events, Churchs, Block Parties, Graduation Parties. 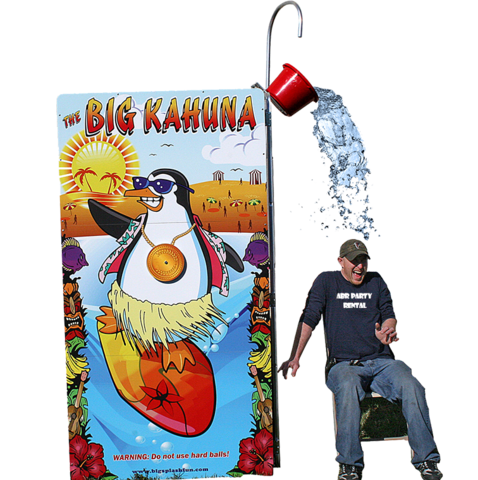 Especially popular choice for younger and older guests who do not want to be submerged in a dunk tank. Regular water hose supplied by customer is all that is needed.